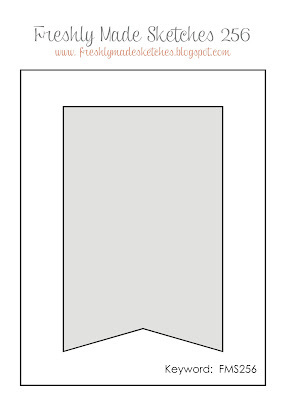 Simple card for this simple sketch today. it is hard enough to decide which set I want to use or colors! I first pulled this Moroccan DSP to let it shine again on the card! in it and could not wait to ink it up! I used one on yesterday's card and one today! I did used markers to ink in three colors. and the sentiment as well made it a fast card, too! 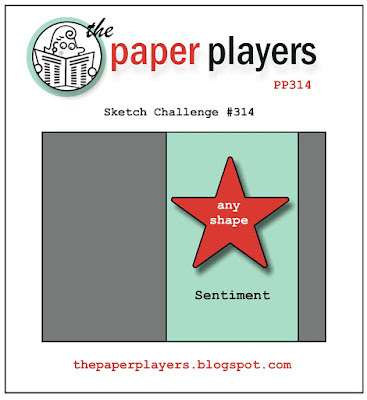 Hope you can play along with the sketch challenge. PPA320 Merry Everything With Plaid! I flipped the sketch a bit and used more plaid! Love the red plaid here! The dies are from the Pretty Pines thinlits dies including the Basic Black bow. I added a Cherry Cobbler baker's twine bow on top for depth! Or the fun of it! Whatever! I hope you can head over to palspaperarts.com and play along today! Thanks for stopping by and have a perfectly plaid Thursday! 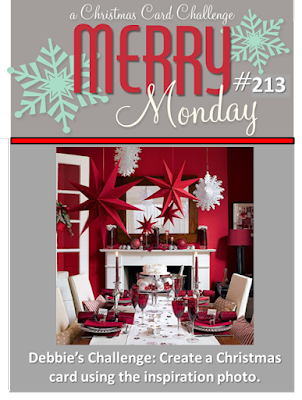 Merry Monday#215 Thinking Of You In Pink! 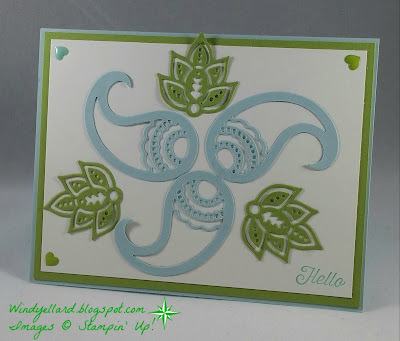 stamping on the Whisper White card stock. through the Big Shot with my Softly Falling emboss folder. flower in the center of the ornaments. All very quick cutting and assembly. Love the way something turns out like you have it in your head! Join the card chaellnge today! Thanks for stopping by! Have a lovely Wednesday! I have been hoarding this pattern of this DSP. I think it is so awesome and love the colors and paisleys chosen! 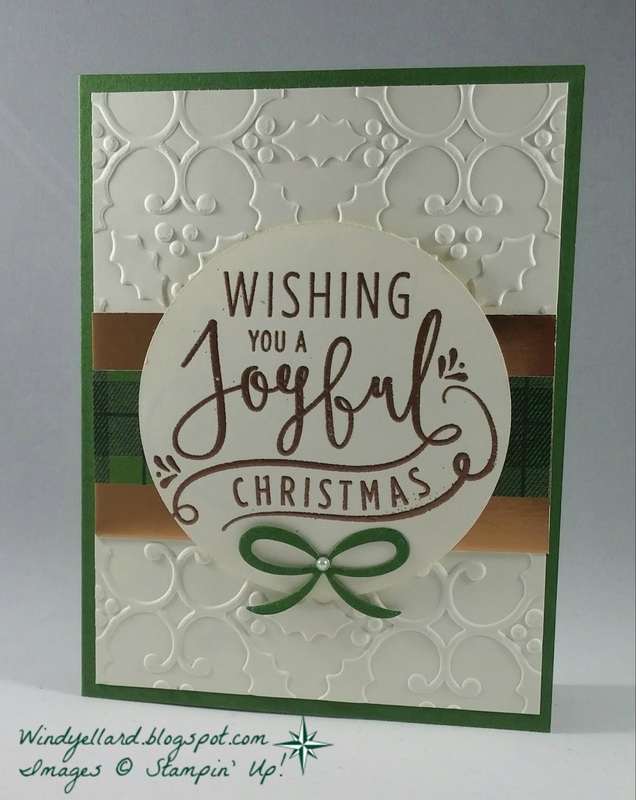 I finally cut into it and it makes the card! I added some Rich Razzleberry ribbon along with some Copper foil. 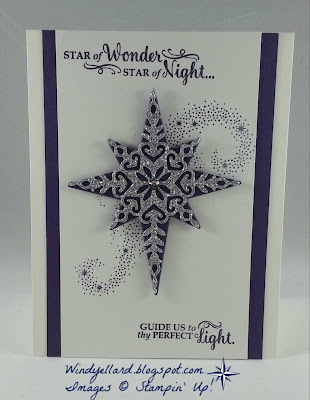 Then just stamped on a Very Vanilla banner making it a fast card as well. I will send this out to my mom this weekend. I mail her a card from me after week and she expects them! 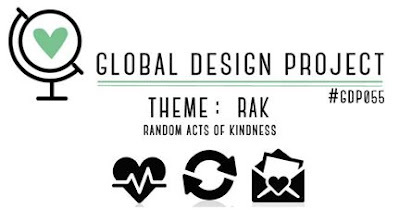 Play along over at global-design-project.com today! 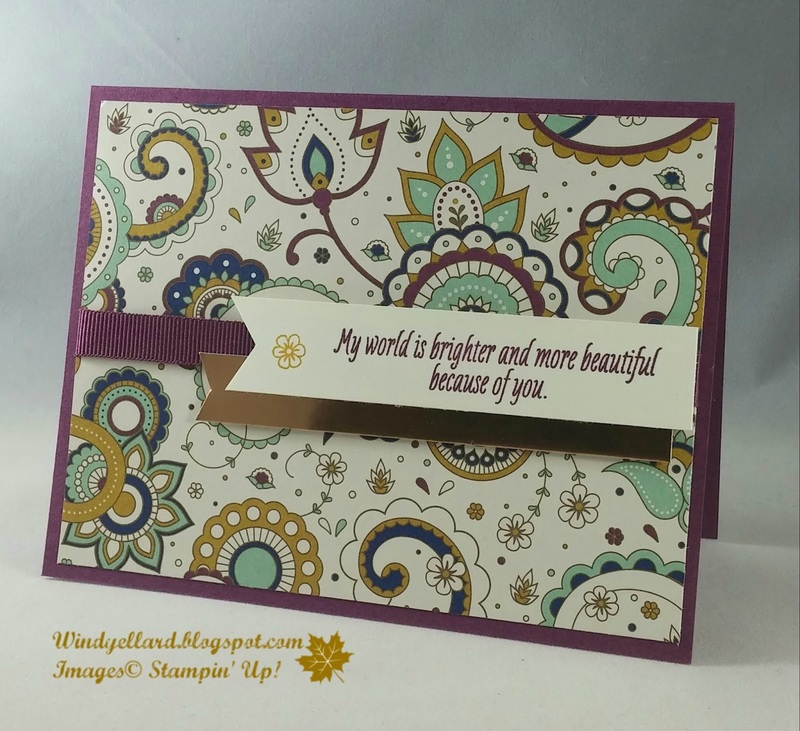 stamp set and matching dies. Then I thought of the reindeer! might look real cool in Delightful Dijon, too! The sentiment is one I really like from the Christmas Magic set. I think it looks clean and crisp and even masculine! I hope you have a wonderful Monday and thank you for stopping by! This is the first Christmas card for October class. I used the reindeer from Cookie Cutter Christmas. I need to play with more of the stamps in this set. would work well with this card, too. 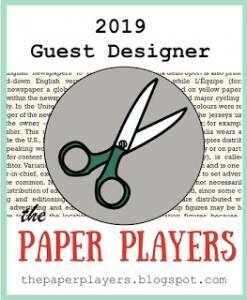 with a few pieces of card stock. Then finished it off with some shiny baker's twine. to use it more often! I designed this quick 4 1/4" square card for mom this week. from the Petals & Paisleys DSP. in fall colors and then added them to Soft Suede bottoms. I added lots of Copper metallic thread behind but it does not show up well in the photo. 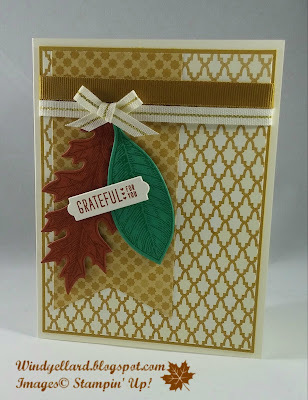 I grabbed a sentiment from Sheltering Tree for a thankful vibe. PPA319 Happy Birthday To You! 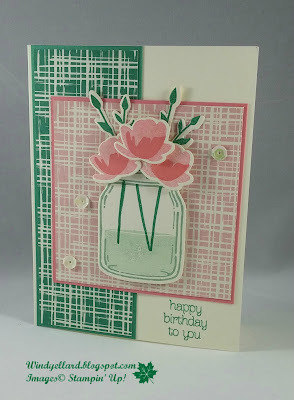 I designed this card for both the color challenge and for my friend Irene's birthday! Love when I get two things done in one! 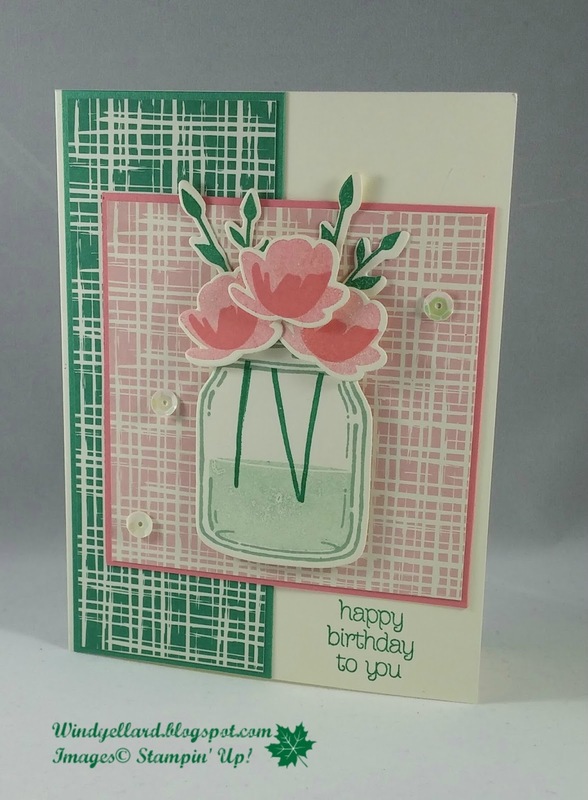 and I love Flirty Flamingo for flowers! 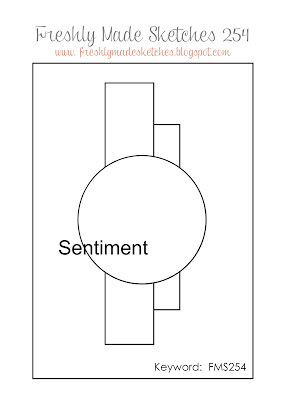 sentiment from Circle of Spring set. 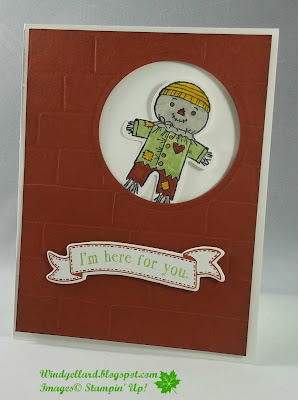 from earlier in the week for a card on Monday. for the base of the flower, it looked like it went together. But I do want to confess something else! I am terrible at placing sequins! 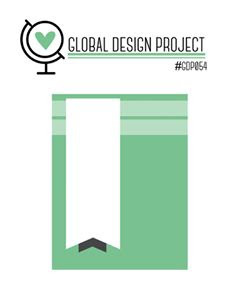 Never like how they are placed on a project. Maybe one day I will achieve sequins balance! It is a goal now! 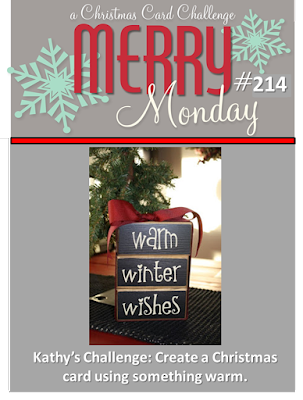 Merry Monday #214 Purple Cable Knit Stocking! She had adorable cable knit stockings in red and green. so I had to do my fav color purple with some bling. I did use the cable knit 3D emboss folder. with some water to make the impression go even deeper! 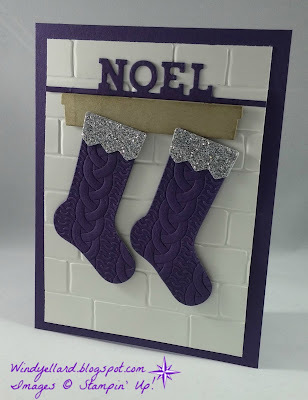 I used the silver glimmer paper for the top of the stocking. 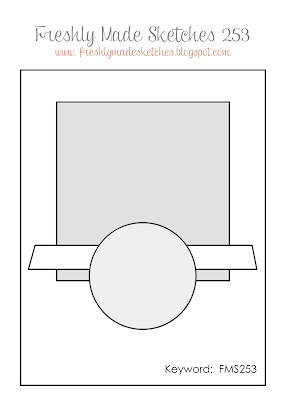 I knew I wanted to die cut the Noel but what to put it on or on top of? I finally remembered I had a hearth from my Hearth & Home dies. I sponged a little Crumb Cake ink on it and popped it up. 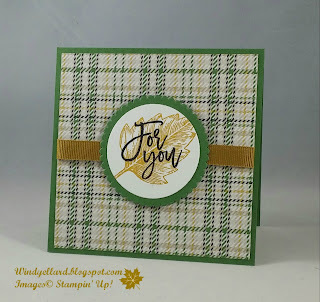 I love the vintage leaves and I am loving this Moroccan DSP! Wish I had bought it sooner but it would be all gone if so! I started with two pieces both in Delightful Dijon. natural trim I also used here. coordinate with my Paisley suite. on those coordinating colors of card stock. Bunch of Banners framelits dies. 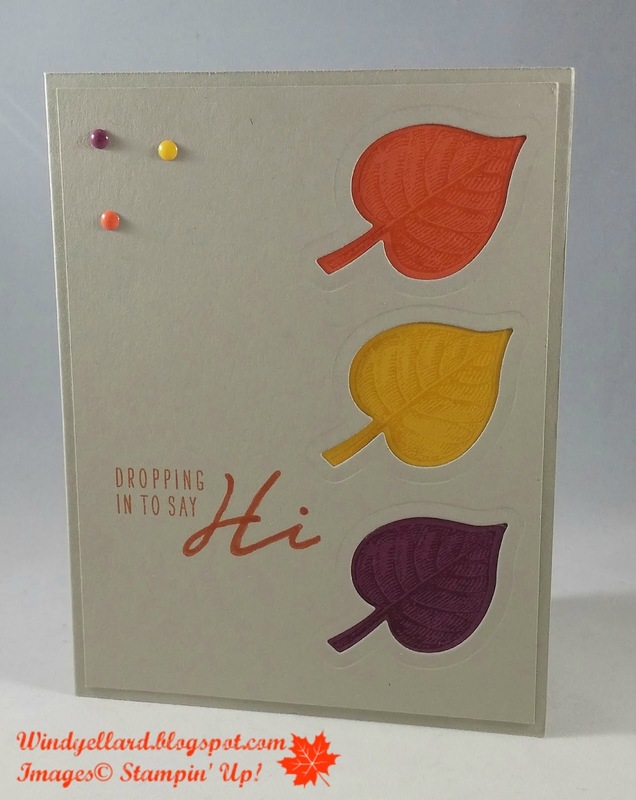 I moved it around the card and finally landed across the leaves. I like it because it does not hide the leaves at all. PP313 Something Good To Eat! 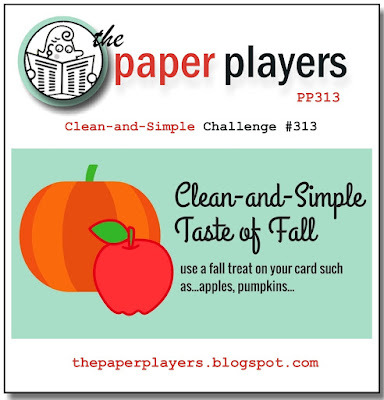 Sooo thankful my September Paper Pumpkin kit arrived on Sat. 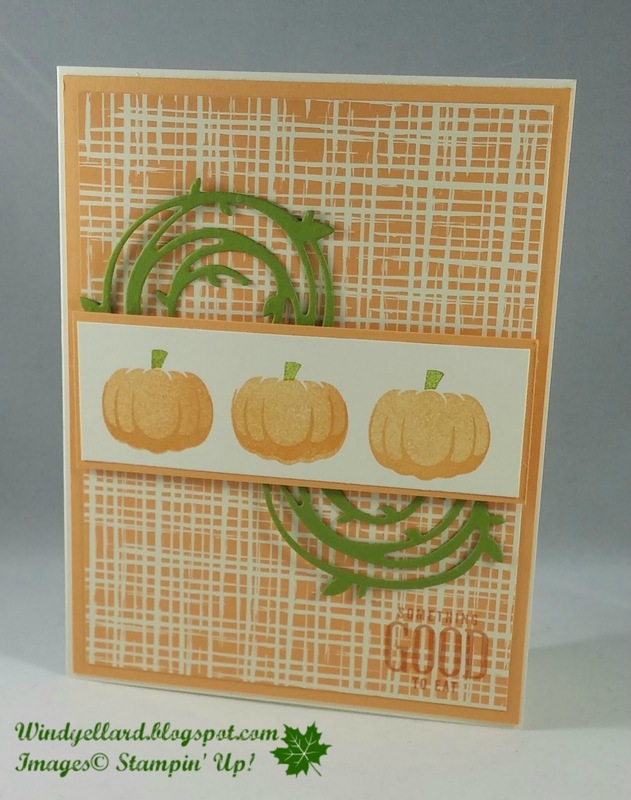 I had no pumpkin stamp. I love pumpkins and collect them in my house decor! 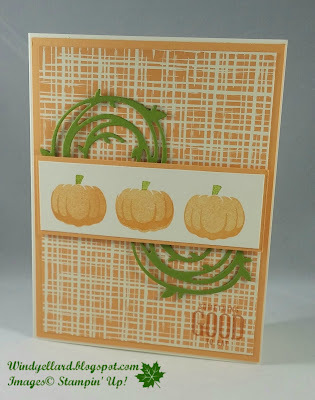 However, not a single pumpkin stamp...what!?! in Peekaboo Peach on Very Vanilla. 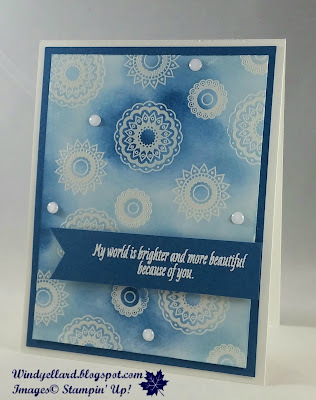 The DSP is from the Playful Palette paper stack. 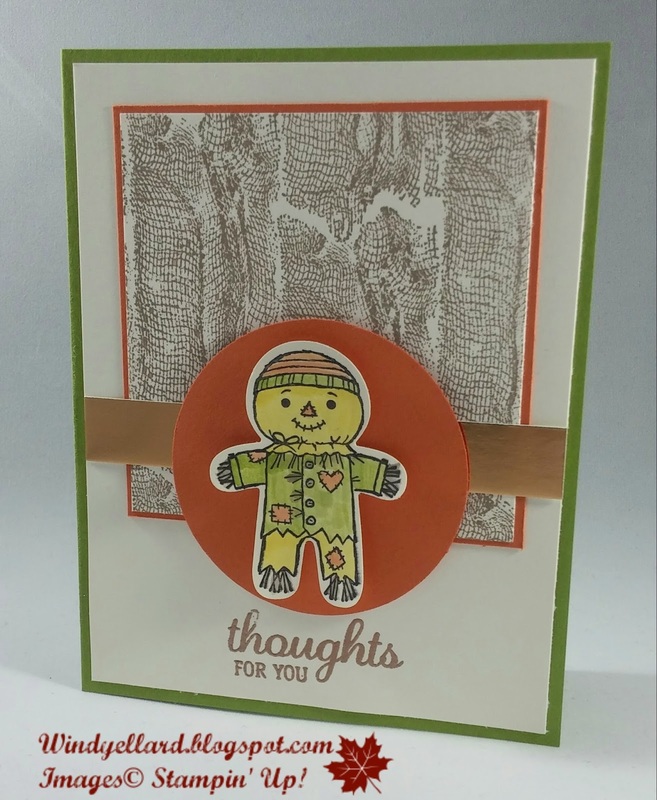 I stamped a sentiment from the same set in my Paper Pumpkin kit. Does not read well in photo but says" Something Good To Eat". I made this for my college girl who loves anchors! and they came together well. 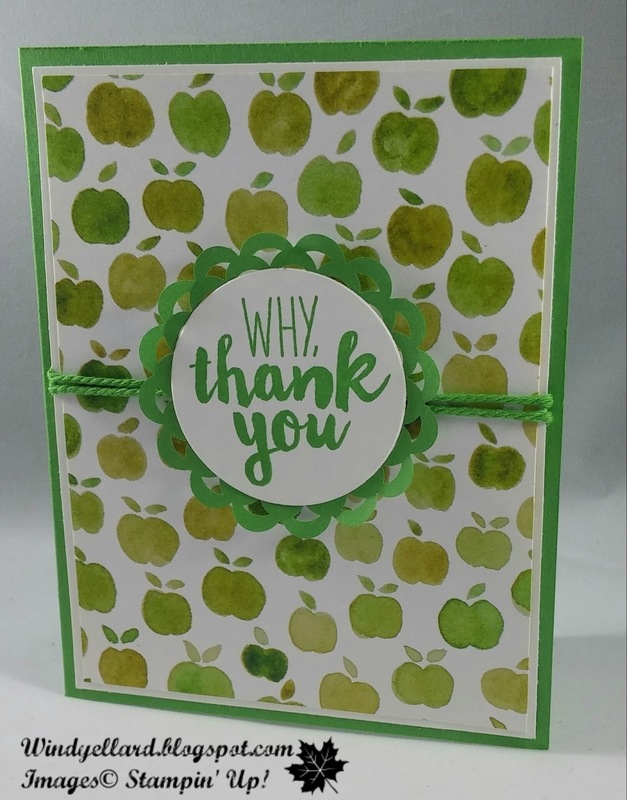 Why, Thank You In Green! I started with the apple pattern from the Fruit Stand DSP! Quick doily and thick twine and it was done. 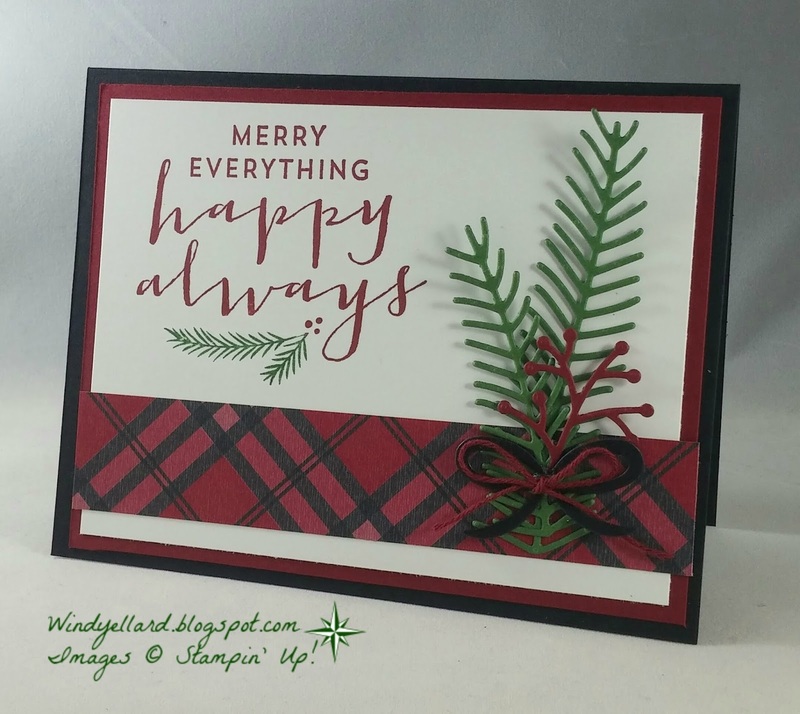 The sentiment is from the O Happy Day kit. I hope you have a blessed weekend and thanks or stopping by! Isn't he adorable. I like coloring him with the markers...comes out great! However, when I put everything together, I just liked him without a sentiment on the front! brick wall Cajun Craze circle which was also laying on my desk. Wow, this was fast card! so I started with the Cherry Cobbler base and the Fabulous Foil Acetate. 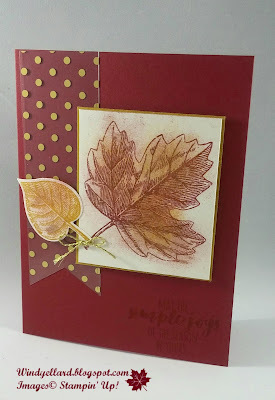 Cherry and gold ink over it and cut it out with the matching dies! Now the sentiment shows up in person but not so great in photo. It is stamped in Dijon on the Cherry. Oh well, all can't be perfect! can head over to Palspaperarts.com to play along! I usually make or decorate a bag for my guest to carry their cards home from class. but thought people could use the larger to hold more stuff. Sam Donald over at Pootles.uk.co makes these and has the dimensions including a video, too. She uses them to store her framelits and thinlits dies. I used some retired DSP and ribbon from last year. They are so easy to make. 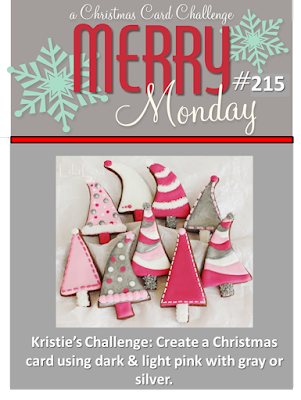 I decided to play along with the Merry Monday Challenge this week! 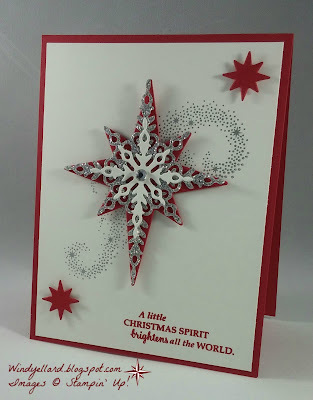 Love the CAS(clean and simple) look of the white and red with a little silver here! desk from class this week. 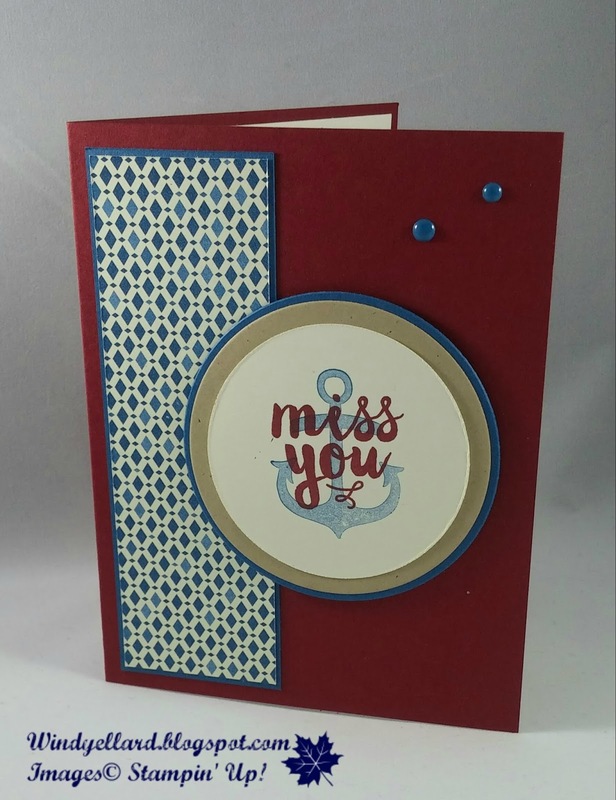 Added a Real Red die cut behind and a Whisper White on top! 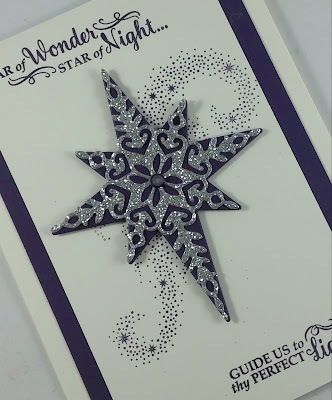 I stamped the beautiful background star swirl in my retired silver Encore ink pad. color or something else you focus on in the photo! 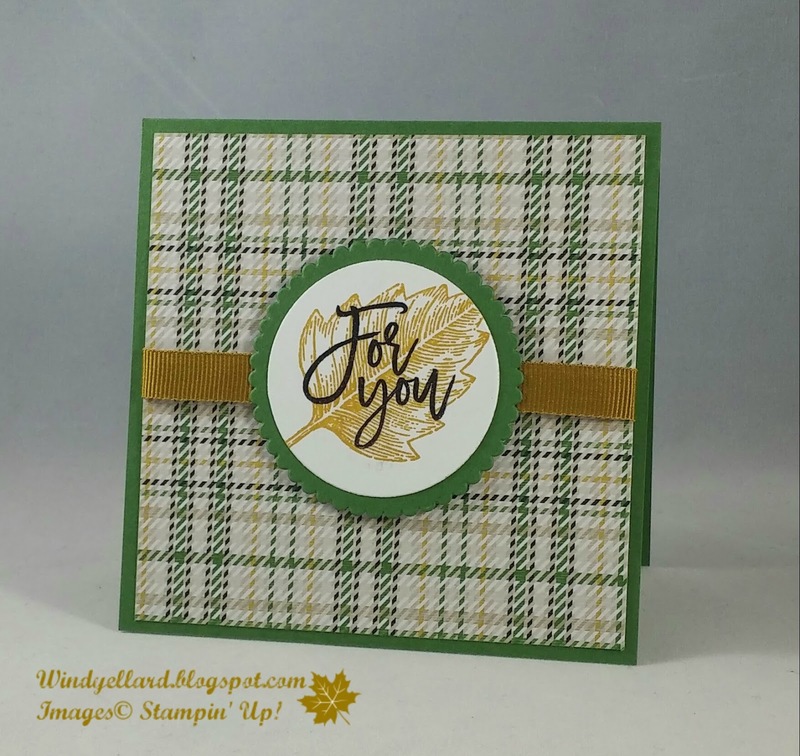 I love the color combo with Pear Pizzazz instead of Old Olive. 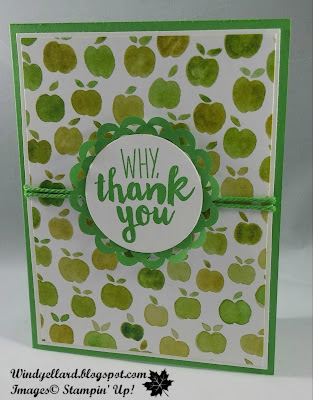 I love olive but I do not use my pear enough and liked it with these colors! I knew I wanted to use my scarecrow again but this time I colored him with markers. I used the colors above plus Sahara Sand. It looked more gray then I wanted but knew it was the lightest to color. so perfect from Fresh Fruit. I curved the photopolymer to stamp it. The banner is from Birthday Banners....love the stitching! I did rub some Old Olive over my Cajun Craze brick wall to age it a bit! This is the last card for Christmas card classes this week! I love the trees for Christmas pines! I stamped them on Very Vanilla. I added a little star to one. I added some Fabulous foil acetate in gold polka dots. Really love the paper over the Cherry Cobbler card stock! I also love the gold trim ribbon. Under it is a small Always Artichoke banner. Hope your Sunday is wonderful and thanks for stopping by! 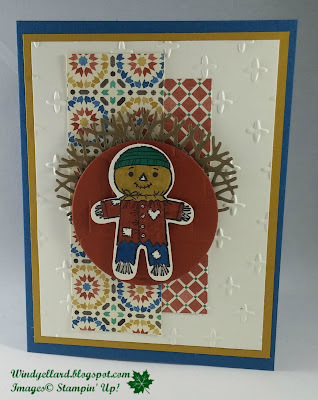 This is my fourth card for card class this week. 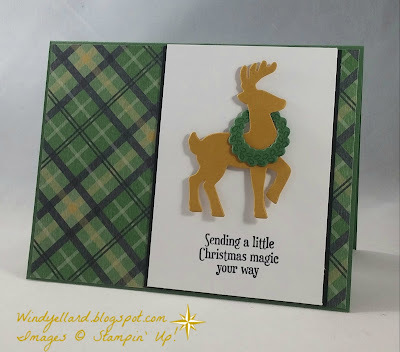 Actually today is my first group coming to stamp Christmas cards! 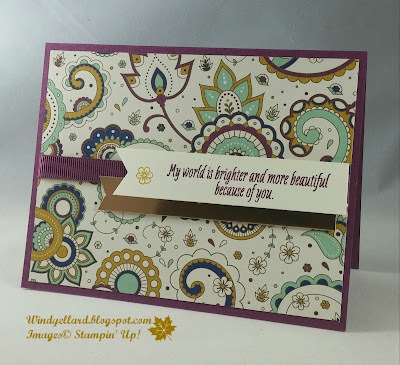 I used the copper emboss powder with the Wonderful Year set. Love the words and fonts! I also used the copper foil paper and a little green plaid DSP. 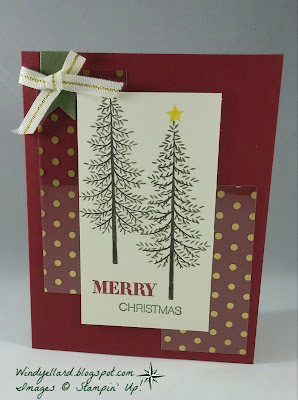 The bow is cut for the Pretty Pines thinlits dies and a pearl was added, of course! 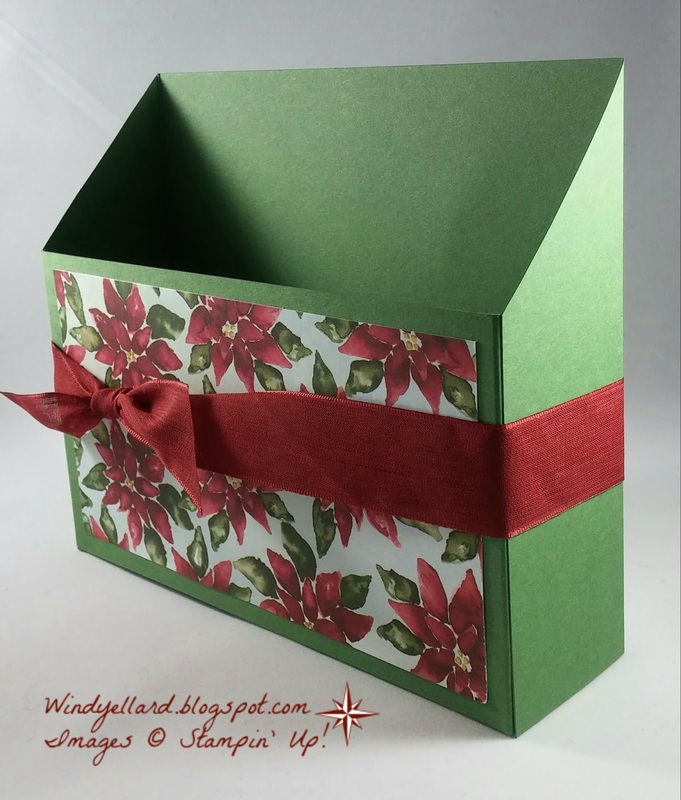 Love the look of this Holly emboss folder with the vanilla card stock. Hope you enjoy your week and thanks for stopping by! 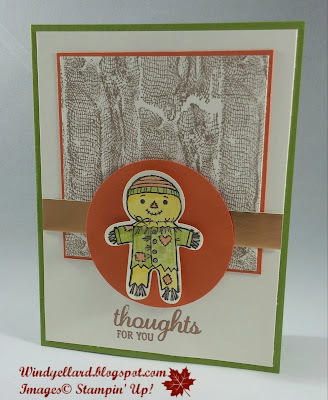 FMS253 Thoughts For You Scarecrow! I just had to have the scarecrow from the Cookie-Cutter Halloween set. This meant I had to buy the whole set. 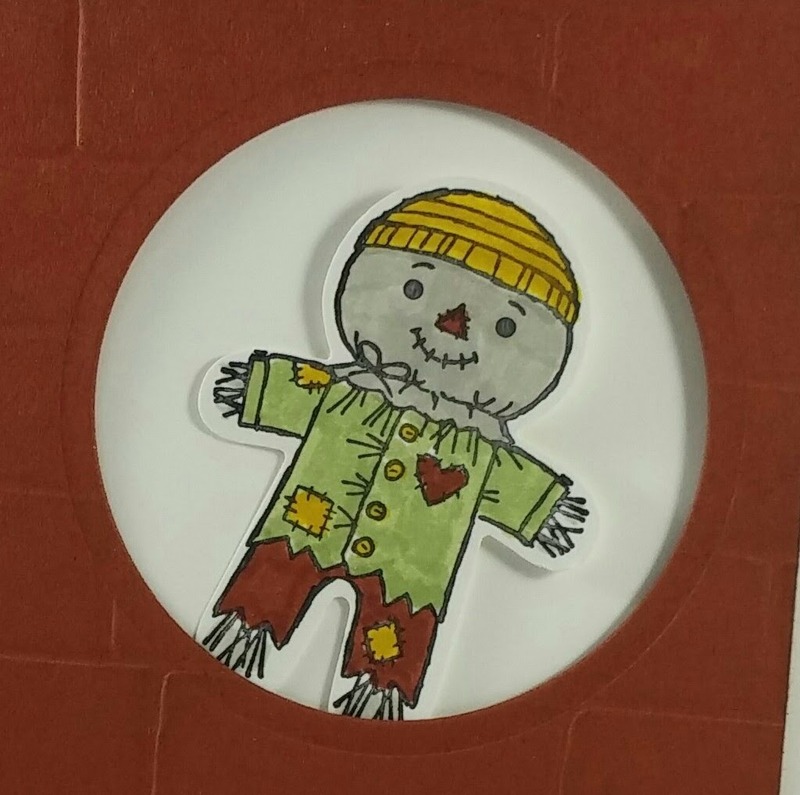 I do not make Halloween cards because I do not celebrate that holiday. and also love my scarecrows in the house and outside! throw in some cooper and heat emboss with it as well. I used a sentiment from Best Birds. they are not your usual leaf looking color combo! I stamped the leaf on the different color card stock in that color. to the back side and added my sentiment from Acorny Thank You. It needed a little more when I remembered I had all those colors in the enamel shapes! 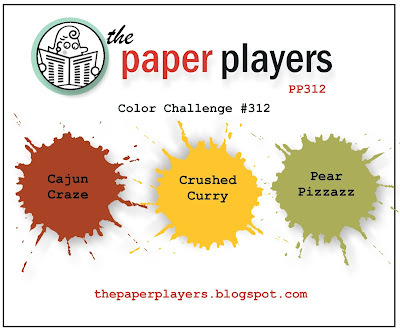 I like how it turned out...but now you play along with the color challenge! Head over to palspaperarts.com and post your creation! Have a wonderful fall inspired Thursday! Teneale Williams' designs are amazing!!! I love her layout and the balance on her card. I also love those colors together..Pear Pizzazz and Pool Party! I choose to focus on those and I wanted to play around with my Paisley dies. What I designed is just that...playing around! Not a great card but my mom will like it! I send her a card every week. every week for over 12 years now and she expects it! I added a few heart shaped enamels on the corners for fun! 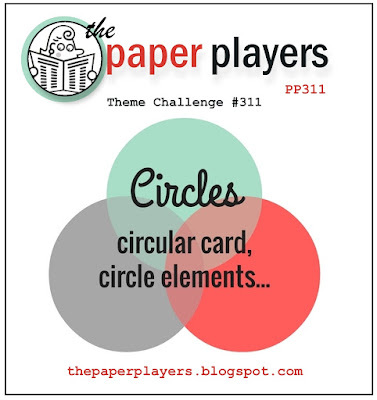 PP311 Paisley Circles For You! and some Soft Sky over the embossed images. I love blue and white together. 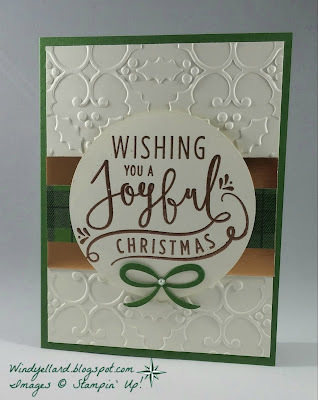 I layered it up and embossed the sentiment in White emboss powder. I added a few White Perfect Accents because....well, they were circles of course! Santa's Sleigh & Reindeer, Too! Hope you are doing something fun and/or relaxing! 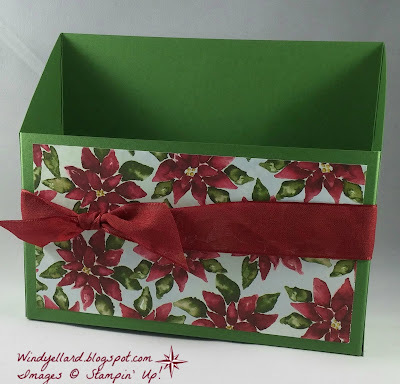 I have more Christmas inspiration for you! 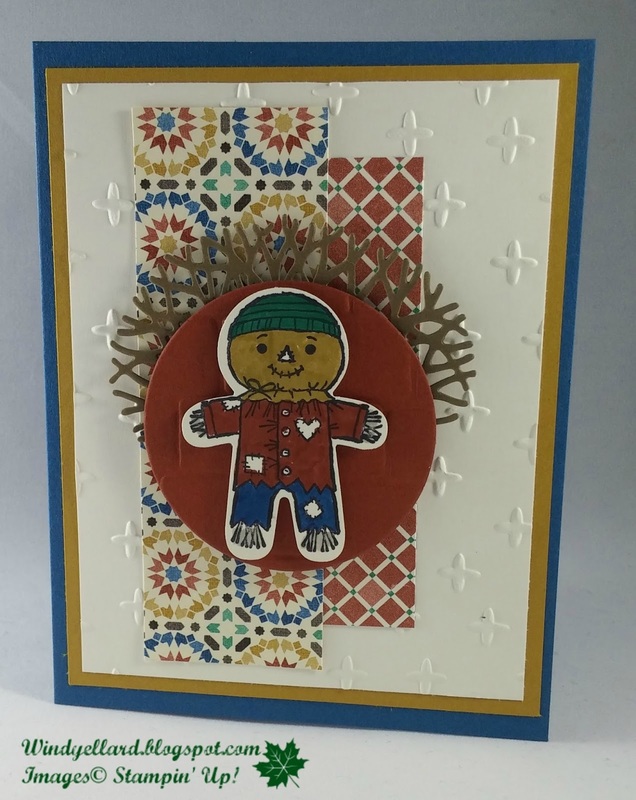 This will be the third card for Christmas card class this month. 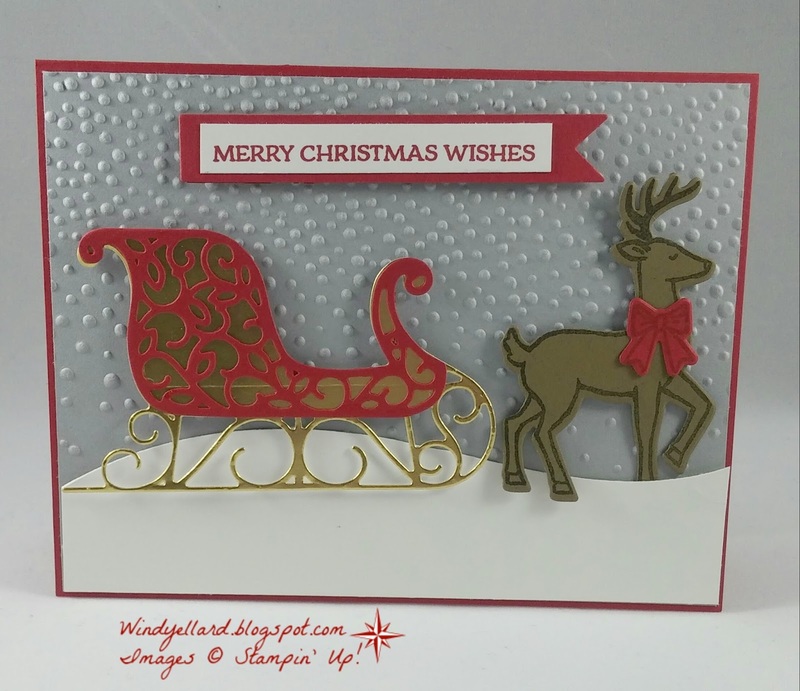 New set with matching dies called Santa's Sleigh. I just had to get the reindeer and the sleigh in the card. since it gave the appearance of evening or dusk. 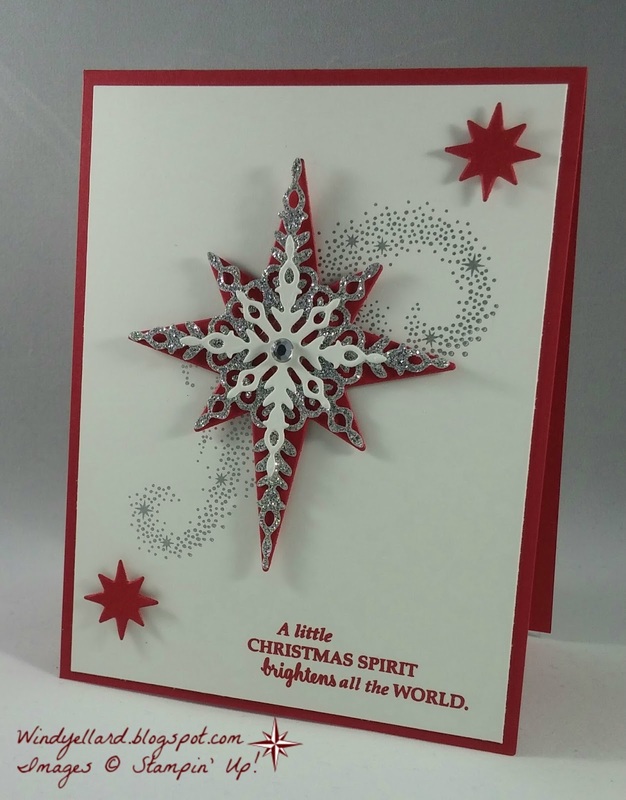 The Gently Falling emboss folder just help give the snowy effect! The sleigh is cut from gold foil and Real Red card stock. 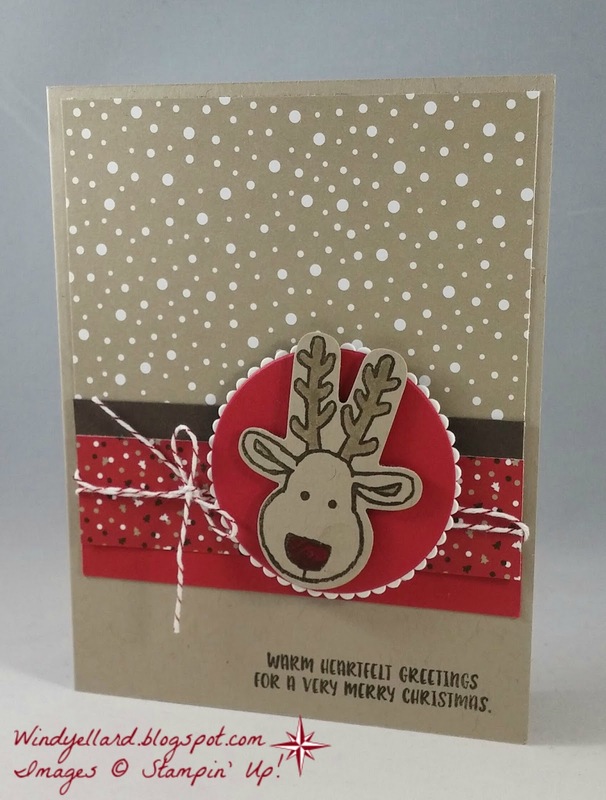 The reindeer is stamped in Early Espresso on Soft Suede card stock. 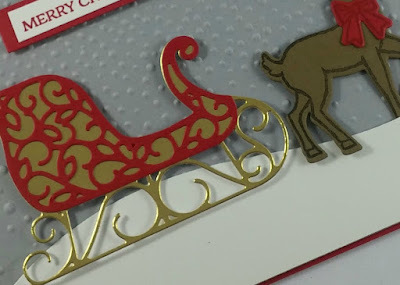 Close up of sleigh. It is two pieces...solid piece in gold and an overlay in red. 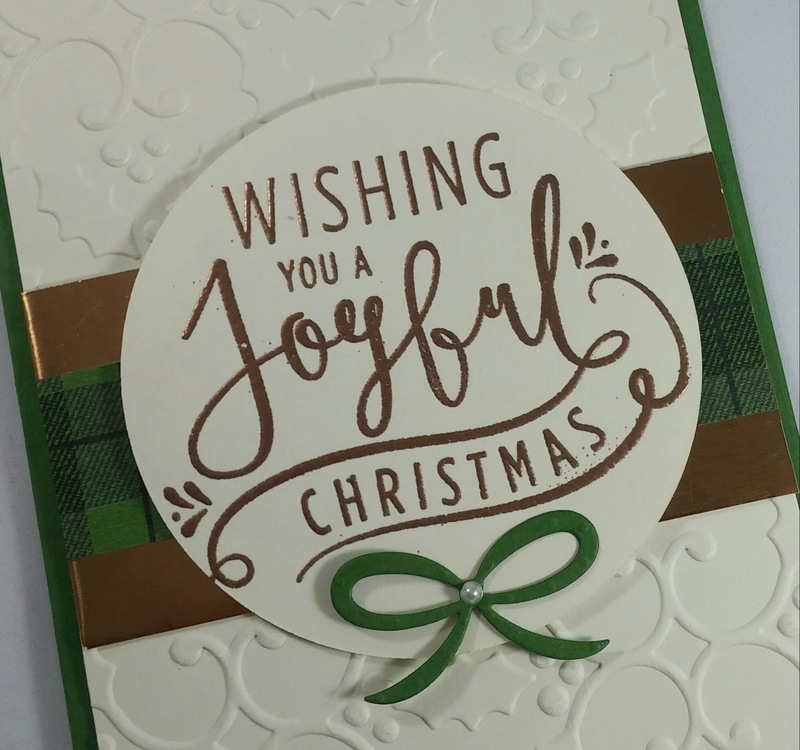 I used the die from Swirly Scribbles to cut the "snowy bottom". The sentiment is from the same set! I hope you enjoy this day and thanks for stopping by! 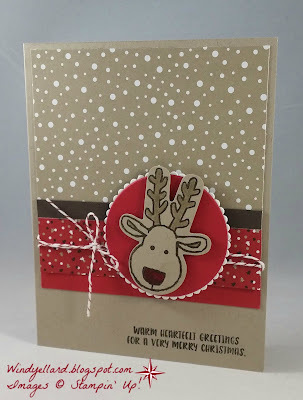 This is the second card for Christmas card classes this month! 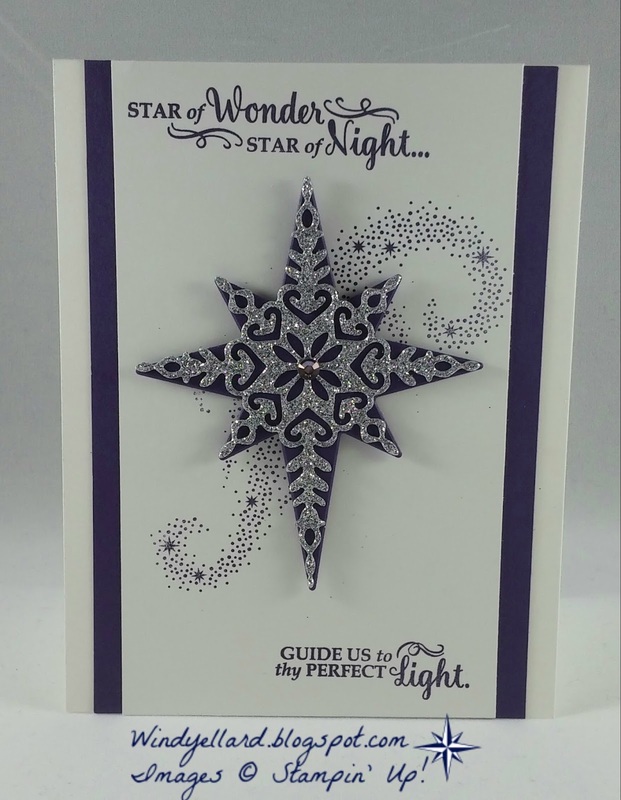 Love this new set called Star of Light. but the best part is the beautiful words and the script! I stamped with this set in August and did a blue, white, gold card. It looked lovely but for class I just had to do Purple! esp. when you pair it with silver (or gold). My Christmas tree is decorated in purple and silver! this layout worked really well.